The jQuery serializeArray() method simply creates an array of objects (name and value) by serializing values of HTML form. This is very useful when posting data of HTML form for processing. Let’s take a very simple example to see how the jQuery serializeArray() method works. The following HTML form has only two input fields. In order to show how jQuery serializing the values of the input fields, a output Box DIV layer has been added. Here’s the codes of the webpage and HTML form. The above jQuery codes are very simple and quite easy to understand. When the Submit button is clicked, the values of input fields (First Name and Last Name) are serialized into an array, and then assigned to a declared variable (data). 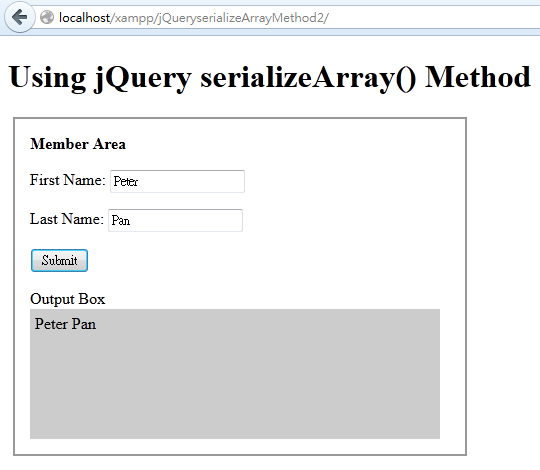 In order to display the contents of the object of serialized array, we use the jQuery toSource Method. Actually you can also use alert((data).toSource()); to display the array object in an alert message box. 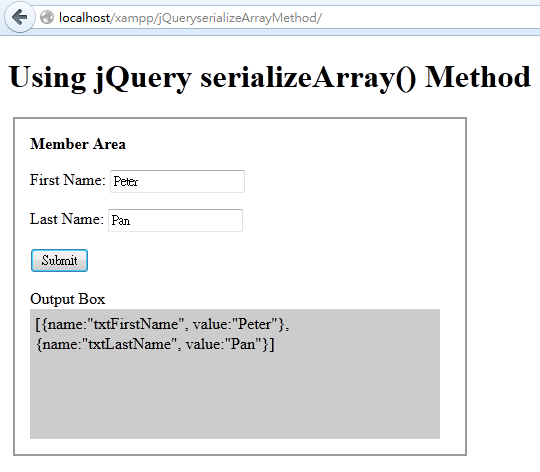 As you can see, the jQuery serializeArray() method created an array of objects with name and value. Once the values of input fields are contained in an array, they can be manipulated easily. 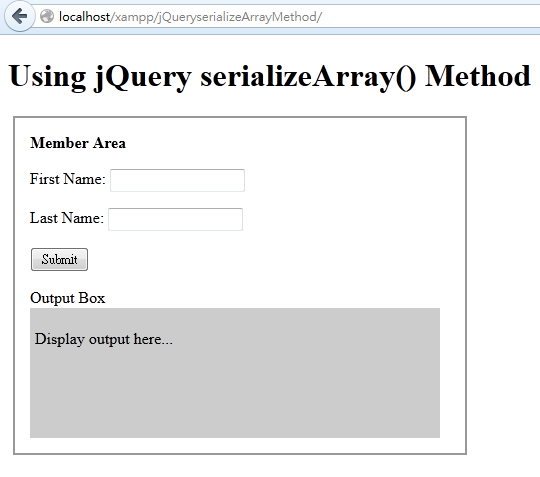 Click here to download jQuery serializeArray() Method Example Source Code.